Planning is essential, particularly when buying a new car or selling your current car. It could help you save thousands when you decide to sell your car. pare the value of fuel consumption, performance specifications, handling, tech, safety ratings and aesthetic attributes as we browse showrooms and car yards. The value of the depreciation is often overlooked and disregarded, despite the importance it may have. As soon as a car leaves a dealership or showroom floor, it will instantaneously depreciate – that is a commonly known fact. Ultimately, you’re burning money as soon as you drive the depreciating set of wheels out of the dealership. The extent to which the value can drop within the short term is incredible and generally a shock to the new owner. Buying a new car entails many costs, including registration costs, insurance costs, constant servicing, maintenance and general running expenses. All of these costs need to be taken into account, however, the biggest cost that you will confront is the cost of depreciation in the long run. Depreciation reflects the value that your car loses in price over the time you own and drive the car. from its list price of $11,790. This amounts to approximately a 40% depreciation within 3 years. Indeed, depreciation of your car will strike the biggest blow to your wallet. Nevertheless, the degree to which your car will depreciate depends on various factors involving availability, size, make and model. As information spreads about resale values of makes and models, car buyers now have the power that they need to approach and attack the problem of depreciation. But as information spreads about the average resale values of different makes and models, new car buyers have the power they need to beat the problem of depreciation. It may be odd to purchase a new car based on the decision associated with it’s ability to hold value and the price that you may able to sell it within three to five years time. Accounting for depreciation now, will save you significantly in the future. If you consider depreciation as one of the most important factors when searching for a new car, it will greatly reduce the cost of owning a car, and will help you financially when its time to upgrade and buy a new car. What will the value of my car be in the future? To get an idea of the value of your car in the future, you can look at RedBook.com.au – offering a future valuation service on its website. Designed to help you make the right decision when buying a new car, the listed valuation will encompass many facts including kilometers travelled and time span of owning the car. Tired of hearing about losing money with depreciation? There is countless ways to ensure that you can retain as much value in the future when buying your new car. 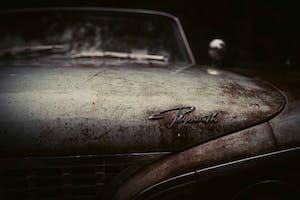 Purchasing your car at the end of the year from a dealer looking to turnover old stock may enable you to get a better deal. Purchasing for a lower price means that the depreciation over the initial years won’t be as significant. Maintaining the car in good condition is essential. Garaging your car is also a good tip to preserve the condition of the car and preventing wear and tear. The better the condition, the better the resale value. As you probably know, servicing your car regularly is key! Particularly, it is important to keep records of a full service history, for all those trips to the mechanic to add value to your car. A frequently serviced car means more money in the future. Another important tip is to repair any damage to your car, including scratches, marks, dents. This will make an incredible impression on an interested buyer. 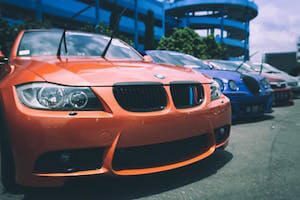 Planning ahead and considering all of the expenses associated with running your car, including depreciation, it is possible to beat depreciation and get a higher resale price for your car in the future.